The employee was questioning my statement from a previous post (http://www.thewildlifenews.com/2016/09/06/the-profanity-peak-pack-lost-of-wolves-and-academic-freedom/) where I stated that livestock anywhere within a dozen miles of a wolf pack was essentially on top of the pack. They then went on to note that most of the packs in Washington live in proximity of livestock without conflicts, suggesting that livestock and wolves using the same lands are compatible. The writer’s observations are correct up to a point. Just because there is livestock in a wolf territory does not automatically lead to wolf killing of livestock. But it does still cause conflicts for wolves in ways that we can surmise, but may be difficult to prove. The presence of livestock affects wolves in more ways than if they are shot due to depredations. First, domestic livestock consume the grasses and other plants that would support native prey like elk, thus reducing the overall fitness of elk, and perhaps even reducing their total numbers. At least in some places during the summer, the vast majority of all forage on public lands is “allotted” to domestic livestock. A meadow that is grazed to putting green height, a common occurrence where livestock are on public lands, offers little food to wild ungulates. Secondly, the mere presence of livestock can socially displace elk and other ungulates. When cows move in, the elk move out. Even though wolves would prefer to eat native ungulates like elk and deer, they will choose to eat domestic livestock if the availability of these native species are more limited or difficult to locate in their territories. Wolf packs with pups are particularly vulnerable as the biomass needs of growing pups puts a real strain on the ability of the pack to provide sufficient food, especially in the summer months when native prey like elk are widely dispersed in the first place. Here’s an analogy. I’m basically a vegetarian. I avoid eating meat. However, if I am visiting someone’s house and they serve up a meat dish or sometimes when I am traveling, it is so difficult to get a good salad or other vegetarian food that I will eat a chicken sandwich or something like that. I don’t always do this, of course. I sometimes suffer with the lousy iceberg lettuce salads you get in rural cafes. I.e. if I could get good vegetarian food, I would not eat meat. But if it’s too difficult to get vegetarian food, I consume chicken or fish sometimes. It’s the same for wolves. They prefer to eat elk and deer, but if for some reason there are not good choices for elk and deer, then they will resort to livestock, especially if they are trying to feed pups. Even if wolves do not choose to eat livestock, and are not killed by state or federal agencies, they are still suffering. In other words, their overall fitness is reduced. The wolves may have to wander further to find food–i.e. if elk have moved in response to livestock.. That means they may be traveling further and thus more exposed to poaching and accidents (crossing roads where they are hit by cars/trucks). Because they have less native food to eat, they may go into winter in poor health and thus be more susceptible to disease like mange. Or some of the pups may not get enough to eat and not survive and/or be weaker in the winter, and less able to contribute to the pack’s overall fitness. Or they may have to “trespass” into the territory of other packs and suffer mortality from interpack conflicts. Or due to their lowered fitness, they may not be able to defend their territory against other packs. These are only a few of the ways that livestock presence can negatively impacts wolves–whether they consume livestock or not. Worse, when groups put out range riders or people to scarce wolves away from livestock (a well-intended idea) and otherwise affecting their normal movements, this is wrong. Imagine what would happen if I were to choose to harass the cows and chase them away from the wolves to reduce predation opportunities, I would be arrested. But ranchers can chase or harass our wolves? To me, this is backwards. Supporters of the ranching interests should not get hung up on distances like Washington State University did when it discredits wolf researcher Rob Wielgus by trying to make a point that cattle were released four miles from a wolf den instead of “on top” of the den. The mere presence of domestic livestock is damaging wolf habitat, not to mention all the other impacts that occurring–cattle are hammering riparian areas, polluting water, spreading weeds, compacting soils, etc. It would seem that any environmental group would see that domestic livestock grazing is damaging and degrading our public lands. Should not conservation organizations be a supporter of the public–not private businesses using our public lands for their personal profit? Ask yourself that question. Elk and deer numbers at least in Montana are not limited by forage but instead by landowner tolerance/hunting. Forage competition is very complex and requires demonstration that both species are harmed. Elk avoid forage competition by jumping fences and moving to areas cattle aren’t. Durning the hunting season, elk seek out security. Elk are an extremely competitive species and have coexisted with other large ungulates for thousands of years. Craig, good post. “During the hunting season, elk seek out security.” That includes the wolves year round “hunting season” Its pretty hard to blame cattle for the current population of elk in Yellowstone. Even if you think that is good or bad. Wolves do not spend all year in or around the den. Once the pups can be moved out,when they grow too large for the den they stay close, like in a grassy meadow until they can travel for food and hunt with the pack. Maybe 6 to 8 weeks in the den. Four miles is a very short distance and takes little time for a wolf to travel, so in wolf-travel terms, the cattle and the wolves of the Profanity Peak pack were practically right on top of each other. One quibble, George. WSU didn’t discredit Weilgus; they tried to and were unsuccessful and made themselves look like they know exactly who butters their bread and it’s not the public or wildlife. They discredited themselves. Considering the incompetent way Washington State has decided to “manage” wolves, scaring them away seems the least awful solution but it’s not the best solution. The best solution is to KEEP CATTLE OFF PUBLIC LANDS. It’s the public’s land and it’s wildlife’s land. As a Washington state resident and taxpayer, I didn’t vote to let cattle ranchers exploit it at the expense of all of us, especially the wolves. I appreciate Wielgus’s frank comments and opinions and I respect and appreciate yours, George. Like you, I am appalled that any organization who calls itself a conservationist and claims to care for wildlife would support in any way, shape, or form this particular killing of this particular pack, and if they would support this killing, then they would support killing of any species WDFW decides it wants to kill – after direction from cattle ranchers and county commissioners, of course. Enough wrong has been committed and too many wolves and other predators have died; this corrupt crap needs to stop. Now I’ll ask a question of you and your readers: A vocal and influential minority of ranchers, hunters and other rural residents across the West have for more than three decades clamored that the reintroduction and recovery of wolves is part of a wide-ranging, well-organized effort to drive them off the land they’ve worked for generations, to abolish mainstays of Western heritage, from hunting to cowboying, to end public lands grazing once and for all, and to turn rural economies away from natural resource activities, even sustainable ones, and force them towards yuppified tourism-based economies. Tin-hat as it may sound, this is undeniably a powerful and popular narrative in the rural areas where wolves and other predators live. And as a result, wolves have been widely poached, aggressively hunted and trapped where legal to do so, and stymied by dogged political opposition, from before the first reintroductions in MT and ID, to rural WA, OR and CA today. Yet you and a small cadre of radical organizations propose to prove that conspiracy theory exactly right by making wolves the fulcrum on which to end public lands ranching and dramatically alter the dynamics of the rural West. Do you seriously believe doing so is the best thing for wolves and other predators like grizzlies in the long term? Interesting choice of words MTC. But one only has to look back a century or so ago to realize that “Western Heritage” was directly responsible for the abolishment (or fracturing) of a lot of wildlife & their habitat. Millions of miles of fencing, strung up on public lands, to hamper migrations. In regard to “Western heritage”, how far back are we to honor peoples’ heritage? What about tribal heritage? How many reservations are in MT? Eight? I don’t know about all of them but Montana and a larger area of the region are the aboriginal home of Northern Cheyenne, Crow, and Salish and Kootenai (aka, Flathead). They definitely pre-date the ranchers and their ‘western heritage’. It’s past time to remove the open range grazing on public lands. I have nothing against cattle and sheep but when ranchers pay a rate that is less than 5% of what they would pay if they were leasing private land and get to drive the law and policy of our wilderness, public lands and wildlife, it’s time for a change. They’ve had a sweetheart deal for over multiple generations. It’s time to pay up. Nicely said. Somewhere in your words is the wisdom of what is needed in regard to compromise/win/win. Just like the conspiracy that Obama is going to take away their guns…still waiting, and now Hillary will do it…will still be waiting. I guess each side evolves toward further entrenchment, when working together would probably be more productive, and certainly less expensive than helicopter hit teams. Immer, both sides are not evolving toward further entrenchment. That kind of thinging doesn’t help matters, and probably stops any progress. One side, the rancher/hunting contingent, is the entrenched side. Plus, they always get what they want, the scales are out of balance, and it still isn’t enough until wolves and other wildlife are gone. Wildlife advocates try to work with these people constantly, and yet very little changes and very little progress is made. This Administration gives them the store, and yet they want no regulation or rule whatsoever – no ESA, no EPA water protection, nothing. Can’t even pick up their own garbage after themselves. Poor babies, let them get killing wolves all out of their systems, and they will become more tolerant. But it didn’t work, because they are becoming less tolerant. Please clarify “a small cadre of radical organizations”….Wildlife activist organizations are neither small nor radical because we care about the lives of God’s creations. If I’m taking this wrong, my apologies. Wolves were not reintroduced to Washington State. They came on their own mostly from Canada although it is not possible to be scientifically definite. For me and others, wolves are not the fulcrum to end public lands ranching. It’s everything – water usage, land overuse, wildlife abuse and unnecessary killing of mountain lions, bears, sage grouse, wolves, coyotes, wild horses, bison, native grasses, uncooperative attitudes, and on and on. Wolves happen to be the most raw, unhealed example of one of the most, if not the most, abused animals on the continent, along with coyotes, not for three decades but for three centuries at least. We no longer live in a country with wide open land for unlimited exploitation. We still have not completely made amends for or fixed a government policy of deliberate extermination that nearly wiped them out – and nobody is going to stand by and watch that happen again. Most reasonable people start out looking for common ground and a way to come to an accord on a disagreement. But with decades of non-compromise from ranchers and hunters, and capitulation by government agencies and wildlife and wildlands protection groups, if those who advocate for wilderness and wildlife didn’t stand up, these animals and their habitat wouldn’t stand a chance and we’d be back to near extinction again for wolves and grizzlies, sage grouse and others. It won’t be wildlife advocates who drive ranchers off the land, it will be changing times with an ever-increasing human population that demands more land for development, energy, housing, etc. when resources are finite. Wolves are just the scapegoat. They can’t vote or fight back, and so are the coward’s target of protest. They are used as a political bargaining chip. Wolves have been delisted, Western states have been given a very generous hunting season, and ranchers have many alternatives to deal with a very small depredation of cattle, plus cheap grazing rights on the publics lands. And still it isn’t enough. What more do they want? Wolves to be wiped out completely. These are rough numbers from a quick survey of 2014 and 2015 population counts, but today there is a MINIMUM of 625 wolves in Montana, 770 in Idaho, 328 in Wyoming, 110 wolves in Oregon, 90 in Washington, and around 5-10 in California. That’s slightly under 2,000 gray wolves currently distributed across the American West. That’s fantastic, and I hope populations in OR, WA and CA (and CO, UT and NV) continue to grow and expand into currently unoccupied quality habitat, resuming their important ecological roles. But isn’t the fact that those wolf populations are flourishing itself a prime example compromise that has occurred? Haven’t ranchers, many of whom have worked the range for generations without wolves on the landscape, compromised by sharing ground with predators who will on occasion depredate or harass their stock? Not to mention taking on new and expensive measures to prevent such conflicts, from hiring and housing new range employees to feeding and training guard dogs? And have not hunters, and hunter-led conservation organizations, who worked for a century to restore vital species like elk, mule deer and bighorn sheep from the brink of extirpation in the West, also compromised by sharing the fruits of that great conservation work with a species that does undeniably have some impact on other wildlife populations? Not to say that wolves don’t belong, or that some elk populations haven’t benefited from increased natural predation, but others have fallen below desired population levels. And in the dire example of the mountain caribou of the Inland NW, increased wolf predation is a significant factor in that population’s steeping slide towards 0. I agree with much of your comment, but this coin has two sides, and both have merit. To claim that wolves (and grizzlies) are at any risk of disappearing anytime soon in West is not supported by any facts. And to say that hunters and ranchers have not compromised ignores the realities of the last 30 years of change in the American West since the return of canis lupis. What’s more, if wildlands and wildlife advocates are concerned about habitat loss to development, as they rightly should be, shouldn’t efforts be made to keep ranchers and other working land owners in business, and thus keep their lands from turning into a sea of 2 acre vacation cabins or industrial agriculture? The cows vs. wolves, greenies vs. cowboys culture war George Wuerthner and opportunistic, short-sighted outfits like Western Watersheds Project and Center for Biological Diversity are recklessly choosing to promote will have far more causalities, wildlife and wildlands included, than they care to admit. MTC, guessing you live in Montana? It shouldn’t be a stretch for you to see that a lot of ranches are selling out due to either a lack of interest, greed or both. Its especially obvious around what use to be towns, that are now cities. A new generation of ranch kids not interested in carrying on their parent’s lifestyle. Many of these ranches “incorporated” years ago, supporting 3 – 4 families that now have families of their own and many of these kids have little if any say so, some are just waiting for a piece of the pie. The public (which includes wildlife advocates) HAVE kept many of these ranches in business for generations with subsidies like public lands grazing, conservation easements, low property taxes, etc. but the question is – at what cost to wildlife and habitat? Especially on public lands? A dated but excellent article. “Whatever step is taken next, it should begin with regulations that confront the work still to be done on the range—and that charge full market rates for public leases. At that point ranchers’ adaptability could realistically be tested. Though it would help to know whether the rancher and the cowboy are really obsolete, the verdict is not yet in. The only way to arrive at one is to let ranchers face their true costs. Obviously, new expenses will force many out of business. When that time comes, the public can make its choice: increase the subsidy to preserve this rare but resonant icon of American identity, or decide that change is inevitable, and that ranchers like Tom Campbell must go the way of the horse and buggy. “If we really had a market environment, we’d lose people quicker, more efficiently,” says Ed Chaney, an Idaho-based rangeland and watershed consultant. “But now, with our subsidy, we’re just feeding the problem. Interesting article, that appears to cover all the bases, and in so doing includes a bit of sympathy for western ranchers, yet with the foreign trade provided by this article of over twenty years ago, how many “positive” steps have been taken by western ranching communities (not an indictment, but a question)? From present day sources, it’s more than obvious that the “war” upon coyotes has found little to no respite. Foreign trade? I think that was supposed to be foresight. I think anyone would be incredibly optimistic to think that any wildlife would not be in danger of disappearing in today’s environment. On the face of it, yes, it is great that ranchers have taken steps to protect their livestock and can save land from development, but that is just good practice generally, and what they should be doing! I can’t give credit for that. While some farming and ranching does take care of the land, there is much that goes on in unsuitable areas like desert environments that cannot support it. I also cannot give hunters credit for deigning to accept another species on the landscape. Many do not. For today, the wolf population numbers are just adequate or the bare minimum in my opinion, and your post doesn’t acknowledge the antipathy associated with wolves’ presence. I’m not sure your population numbers are correct, and hunting quotas increase every year, and no one seems to account for disease or natural disaster. I’d not describe wolf populations as flourishing when there still are many human threats to them. I would describe it as just holding the line. So if these are minimums, then there could be way more wolves out on the landscape than are reported by the states (it is extremely difficult to get reliable counts/estimates of wolves). Idaho has quotas in some of their wolf-hunting units that doesn’t come close to being met, so in essence they could make it unlimited and I doubt it would lead to increases. Disease/natural disaster (what is that?) probably has a minimal impact on wolf populations compared to hunting. With hunting seasons in effect since 2009 in Idaho, according to state wolf estimates, the wolf population has declined only slightly. Your claim that ranchers have compromised has little credibility with me. I regularly visit the field to observe conditions of public lands grazing allotments and I haven’t seen any compromise when it comes to bull trout streams, riparian meadows important for sage grouse and a host of other species, aspen clones that are important habitat for all kinds of birds and other wildlife but are disappearing due to overgrazing, bighorn sheep populations that die off when exposed to domestic sheep diseases, and many other problems. You seem to be preaching willful ignorance to these issues because you are afraid to offend those who are in power over some crappy deal you might be trying to make that undercuts real conservation. This go along to get along attitude from “conservationists” has ended up entrenching the status quo. While wolves may be minimally expanding into new areas, there are devastating other impacts caused by that custom and culture you defend that you seem perfectly willing to ignore so that “conservation” groups can get their token wilderness by selling out everything else that might live in it. Hear, hear. Good points, MTConservationist. And why in this article, the seeming turn against ranchers such as myself, who promote coexistence and a deeper understanding of the wolf? This complex topic has no easy fix. The “livestock ruins the land” rant does not hold up – there are many examples in the west of ranchers using “mob grazing” techniques to better respect riparian areas and many instances where controlled, thoughtful grazing practices have actually improved the land – not damaged it. You know, the more I think of this situation in Washington with the Profanity Peak pack, the more it resembles the Bundy situation. If the Bundy situation wasn’t entrenched, I don’t know what is. Since then, a federal judge has barred Wildlife Services from assisting WDFW with lethal removal, unless the federal agency conducts a more thorough review of the environmental impacts of removing wolves. As always George, your article is so well written and informative. It should help those who may not understand what our wolves face just to survive everyday even without the hardships cattle in their territory brings. And I agree conservation groups should be more concerned with how our public lands are being used for private profit. A far more balanced and forward-thinking take on the Profanity Peak conflict, and how to create long-term, durable recovery alongside rural communities. Tamping down the human hostility toward wolves is the first priority for those who have advocated for their return to Washington lands. SOME conflict between wolves and cows, and the occasional removal of wolves as a last resort, is an expected occurrence as the wild canines continue to recover in our state. In the wilds of northeast Washington near the Kettle Crest, four wolves just got a reprieve. On Oct. 19, the Washington Department of Fish and Wildlife announced it was suspending operations to cull the Profanity Peak Pack. The pack had been persistently depredating on livestock through the summer, but now cows are mostly out of the backcountry for the season. At least one adult female wolf and three juveniles remain. While the Kettle Range’s abundant deer, moose and other natural prey is plentiful enough to sustain them, the future of this small and young pack is uncertain. Fortunately, research shows that reduced from 12 members to four, their propensity to depredate on cattle is lower. I wish I could say this will be our last wolf fire-drill. But as inspiring and ecologically beneficial as the return of wolves to their historic range is, it carries some amount of inevitable conflict. The periodic removal of wolves that persistently attack livestock is heart-wrenching, but it’s part of a balancing act between people, livestock and predators sharing the same space. And it does not threaten the overall recovery of wolves. Some argue that the answer is to ban livestock from public land. But federal grazing policy has a century of history, and Congress shows no sign of making sweeping changes. Moreover, the need for that balancing act remains since wolves also attack livestock on private land. So while improvements can be made, there’s no instant answer to wolf-livestock conflict. The big picture gives us much to be both thankful and hopeful for: The comeback of Canis lupus to Washington has so far been a resounding success. In 2008, Conservation Northwest discovered the first wolf pups born in our state in nearly a century. Eight years later, at the end of 2015, Washington had a minimum of 90 wolves in at least 19 packs, with population growth steady at around 30 percent. While that population has yet to come west of the Cascades and is hampered by tragic incidents of poaching, we’re hopeful that heartening trajectory will continue until a natural plateau is reached. This type of sustained wolf recovery, which many of us dearly want, depends upon acceptance in rural communities where wolves are now part of the landscape and living experience. Since wolves reproduce prolifically and thrive in diverse habitats, their major challenge is human hostility. Such hostility, expressed through politics and poaching, impacts wolves far more than the occasional state removal to resolve livestock conflicts. Alleviating hostility is the first priority for wolf advocates. Therefore, the most positive sign in Washington’s wolf world is that, in 2016, more than 50 ranchers entered into cooperative agreements with the Washington Department of Fish and Wildlife. These compacts provide ranchers with state support for wolf deterrents, including range riders — trained herd supervisors who can identify and work to prevent potential conflicts — as well as compensation for animals lost to depredation. Ranchers agree to remove potential wolf attractants, including deceased or injured livestock and to thoroughly employ at least one other conflict avoidance measure, such as range riders or guard dogs. We at Conservation Northwest directly assist half a dozen large ranches with these methods. Such efforts may not grab national headlines, but they quietly make possible our goal of long-term recovery and public acceptance of wolves alongside thriving rural communities. Wide use of coexistence tools in combination with a last-resort, lethal-removal protocol (agreed to by the state’s Wolf Advisory Group consisting of various wildlife stakeholders) is helping build that essential tolerance. I’ve spent my entire adult life promoting wildlife, including the recovery of wolves in our state. Seeing and especially sanctioning the killing of wolves is painful for me and my peers. Our support for lethal removal under Washington Department of Fish and Wildlife ’s protocol comes only after the most careful deliberation — and also with a commitment to learn from events and improve policies to minimize conflict. Coexistence with healthy wolf populations is achievable in Washington. But even with good faith and effort, periodic conflict is inevitable. As a society, we must find ways to work through conflict with civil discourse and sound policy that reflect both the values of Washingtonians and the needs of wildlife. That’s how we can keep the Northwest wild. 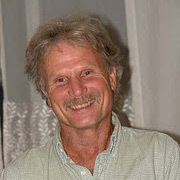 Mitch Friedman is the founder and executive director of Conservation Northwest, a Washington-based wildlife and wild-lands conservation organization active for more than 25 years. This was written by the director of Conservation Northwest, the only org that also supported the killing of the Wedge Pack……there are 40 comments below the story , including a couple written by myself….here’s one of mine, check out all of them. Western ranchers have been engaged in a concerted assault on wildlife since cattle first came to the west after the Civil War. It’s time to stand up to the livestock industry and stop all this brown-nosing”collaboration and consensus” BS that so-called conservation groups like Conservation Northwest have pursued with the cowboys for years. Kudos to groups like Center for Biological Diversity and Predator Defense for attempting to hold the line while other groups like Conservation Northwest, HSUS, and Defenders of Wildlife have fled. To say wolves have recovered is delusional. The Endangered Species Act calls for restoration of threatened and endangered species to a “significant” portion of their historic range……we are a long way from that goal. Additionally, a growing body of research suggests that indiscriminate killing of wolves actually exacerbates livestock/predator conflicts. Wolves are a “classic Western issue, by which I mean economics means almost nothing. It’s about “culture” and as a result, the number of wolves, the number of livestock killed, the number of wolves controlled, the compensation, means nothing to the majority of anti-wolf people and some pro-wolf people and organizations which are more interested in funding than conservation. There is no science based reason to kill wolves, but wolf management in Washington is ruled by the livestock industry and science be damned. Lastly, the Profanity Peak Pack slaughter cost taxpayers of Washington over $119,000….maybe Conservation Northwest will pick up the tab. “MtConservationist”..Really? I challenge you to prove you live in Montana and why not use your real name? For this coyote killing contest in Wy, they didn’t even bother to get the proper permits, so I have read, and the BLM or whoever is responsible can’t be bothered to enforce getting them! They came up with some nonsensical reasoning that the contest begins and ends on private land, so that makes it ok to kill them on public land, regardless of what the rest of those with equal interest and right to public lands think! Why do good people allow this to go on, and/or turn a blind eye to it? across let along be where the wolves and cattle might be interacting. GPS showed cattle in and near the pack’s den site and rendezvous sites and some were killed in this area. GPS data was great for finding the dead calves too late to help the calves but not to prevent wolf attacks. Will WDFW and WAG do better in 2017 when they write the new Protocol? Lets hope so – and watch. Go to WAG meetings if you care. The next one is Feb.1st and 2nd, Lacey Fairgrounds.